Jonathan joined Watsi on November 10th, 2014. 14 other people also joined Watsi on that day! Jonathan's most recent donation traveled 9,000 miles to support Aida, a woman from Malawi, to fund gynecological surgery. Jonathan has funded healthcare for 14 patients in 8 countries. 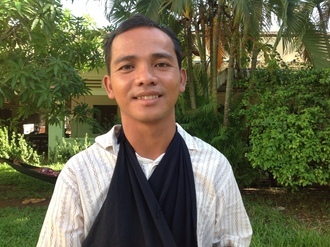 Meet Orn, a husband and father of three children from Cambodia. Our medical partner, Children’s Surgical Centre (CSC), shares that Orn has an appreciation for music and enjoys “watching music videos on TV and listening to Khmer classical music on the radio.” “Three months ago, Orn was in a moto accident that left him with a broken arm,” CSC informs us. Due to the humerus fracture sustained from the accident, “he has not been able to work since the accident and he can’t even do much to help around the house. He is so sad because he cannot provide money for his family.” $405 will fund Orn’s operation to surgically correct his humerus. After undergoing surgery, ten days of hospitalization and physiotherapy sessions, “Orn will be able to use his arm again and return to work,” CSC says. Orn is enthusiastic about a successful surgery so that he will once again be able to support his wife, daughter, and sons. “I pray that my dear daughter gets the required treatment,” says Dorkas’ father about his first and only child. 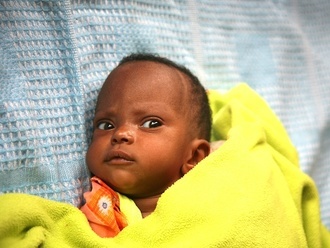 Meet Dorkas, a two-month-old baby from Kenya. Dorkas was born with spina bifida -- “a leaking mass on the lower backbone area," says our medical partner, African Mission Healthcare Foundation (AMHF). 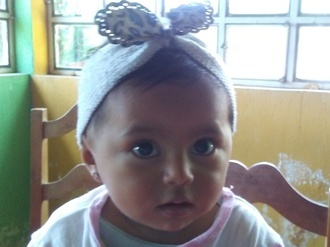 Dorkas’ mother is 16 years old, and her father is a casual laborer who earns a monthly income of $36 USD. Dorkas needs a spina bifida closure, a procedure that involves surgically closing the spinal cord. AMHF explains that this will help “prevent infections from developing in the exposed nerves and tissue, and development of tethered cord.” Tethered cord occurs when the spinal cord becomes attached to tissues around the spine, which can lead to scoliosis or kyphosis. $805 will fund a spina bifida closure, a five day hospital stay, imaging, labs, medications, and physical therapy. Let's help support Dorkas' family and fund this important treatment! “Blessings is really a blessing to me. I love him so much that I would be a more blessed mother if I ever see him responding to treatment and growing just like any normal child,” shares Blessings' mother. Meet Blessings, a newborn baby boy from Malawi. He has a condition known as hydrocephalus, which is caused by a buildup of cerebral spinal fluid in the brain. Blessings has difficulty feeding as a result of the pressure in his head. “He is malnourished, cannot sit, and is experiencing sight problems,” explains our medical partner, World Altering Medicine (WAM). 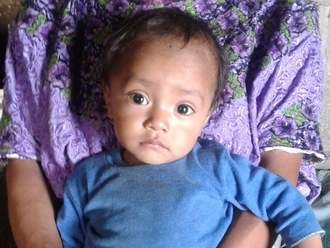 $992 will fund Blessings’ procedure and post-operative medication, including antibiotics. After surgery to insert a shunt in his head and drain the fluid, "the pressure in the head will normalize and his head will return to normal size,” adds WAM. With your help, this treatment will allow Blessings to develop into a healthy young boy who can play and interact with other children his age. “I really hope to be able to get a job to provide some support for my family,” shares Tha, a 29-year-old husband and father of four children from Burma. Tha suffers from bladder stones that restrict his everyday activities. Bladder stones are painful, crystallized masses in the bladder that currently put Tha at risk of chronic urinary infection. 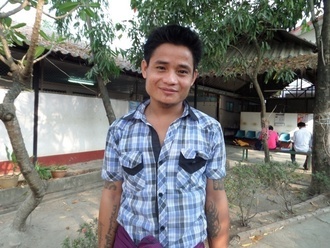 In 2012, Tha had one of his legs amputated after a serious accident involving a landmine. According to our medical partner, Burma Border Projects (BBP), “These injuries combined with the pain and chronic infections caused by his bladder stones make it impossible for Tha to work, so he stays home to take care of the children.” While initially from Burma, Tha and his family currently live in Thailand. His wife works hard to support the family, but is unable to take care of her children and cover the medical costs that Tha needs for full treatment. Before his illness, Tha used to love cooking for his family. His wife fondly recalls these memories, sharing that he cooks better than she does. BBP explains that "without surgery, Tha will continue to develop more bladder stones and his infections will only get worse.” For $1500, Tha will receive surgery to completely remove his bladder stones. Surgery will have a positive impact on Tha’s life, freeing him from pain that currently limits his ability to work, and spend time with his family. "Moise is a smart little boy, he was okay when suddenly he became unable to walk," Moise mother says. A few months ago she noticed that her three-year-old son was having trouble supporting his head and moving on his own; she took him to our partners, Project Medishare in Haiti, and a CT scan revealed that Moise has hydrocephalus. Moise is the third born in his family and used to go to school and play with his siblings. 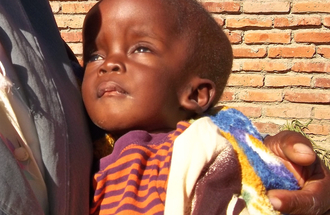 His parents are poor farmers and they cannot afford the cost of the surgery Moise needs to recover. For $1260, Moise will receive a surgery that "will positively change his health condition," and remove the excessive fluids that are putting pressure on his brain. After the operation, Moise will resume healthy development and regain all of his faculties. His grandmother shares, "I am very happy because my little son is going to have the surgery to fix his condition, we don’t have the money and you provides care to him, thank you very much." Meet Morris, a 27-year-old man from Kenya and the eldest of three children. He is a trained tailor but has had a difficult time working since his accident earlier this year. While riding on a motorbike, Morris was hit from behind by a car that lost control. He has been diagnosed with a right tibia fracture and ostreomyelitis (infection in the bone) and can no longer walk without support. “Morris has had more than four operations since the accident,” explains our medical partner, African Mission Healthcare Foundation. “His parents, who are farmers, ended up selling their land and cattle when Morris’ medical bills became too much for the family.” For $1,500, we can fund the bone transport necessary to repair Morris' damaged tissue and get him back on his feet again. Without treatment, he might end up needing an amputation due to severe infection. “I have watched as my parents sold everything they had so that I can walk again. I want to be able to walk and work again so that I can help my family,” Morris tells us. Together, we can make this dream a reality.